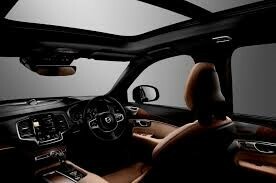 The new Volvo xc90 model is out and there is wide range of available accessories that come with discount price. Volvo offers practical accessories that can add a newer height of protection and swagger to your vehicle. Some of the most popular Volvo xc90 accessories include cargo mats and trays, load bars, floor mats, mud guards and bicycle racks. Just in case you are not yet aware, Volvo xc90 v comes with visually striking designs and safety features that are designed based on your hefty standards. Furthermore, in order to grant your car a higher level of personal and distinctive profile, Volvo has developed impressive styling accessories that would surely reinforce the dynamic look of your car. For style and sophistication, the all new Volvo xc90 comes with a styling kit including an elegant tech matter exterior trim, front deco frames, stainless steel skid plates, built in exhaust pipes and perfectly created running boards that render a great illumination. One of the best Volvo xc90 accessories is the running boards that are integrated with illumination. It is designed with a stylish and exclusive running board that will create additional layer of elegance to your car. You would never want to miss such accessories. Also, the new Volvo xc90 boasts a premium 6 double spoke wheels made from diamond-cut alloy. Its black matter features further enhance the elegance as well as augment unbeaten sporty edge to your new Volvo xc90. Did you just say that you are yearning for additional layer of luxurious sparkle to your car? If so, the skid plate styling kit gets you covered. It features a stainless steel look that perfectly complements with the other parts of your car. Apart from that, it also includes integrated dual tailpipes that give a great finish to its elegant power. This kit also comes skid plates on the front and rear bumpers. Your All-new Volvo xc90 would not be complete without entertainment right? For those who want to turn their Volvo into a fun mobile entertainment center, the tech and sound accessories are great news for you. You can now seamless navigate with ease and style while you can lean on a reliable parking assistance. With these impressive accessories, you would be able to get the most of vision and sound and at the same time enjoying fun and safety. This accessory provides a smart integration without the need of dealing with lots of buttons. With this feature, you can now access information with the help of the center display, head-up display and the driver display. In addition to that, this smart navigation also connects the driver to apps as well as cloud-based services that can provide you efficient information whenever needed. There you have it- impressive 2016 XC90 Accessories that are attention-worthy. So what are you waiting for? Check these accessories now and make your Volvo more elegant than ever.